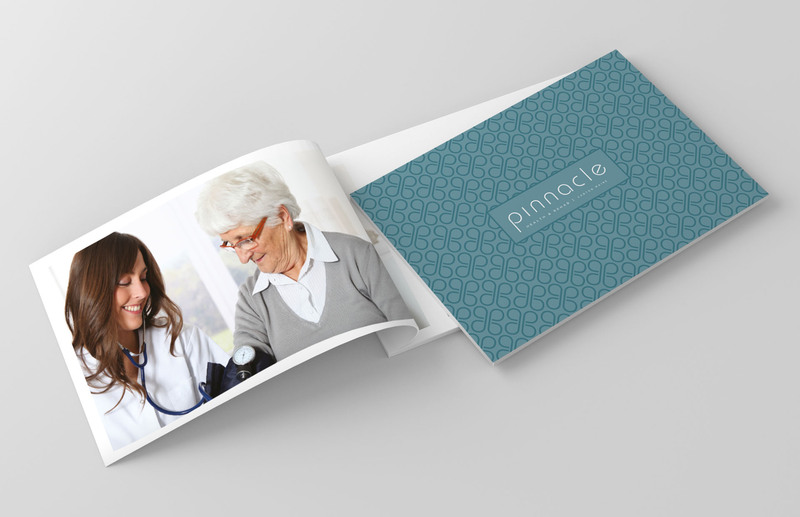 We designed a fresh, new corporate identity for Pinnacle Health & Rehab, a residential care facility located in picturesque Canton, Maine. 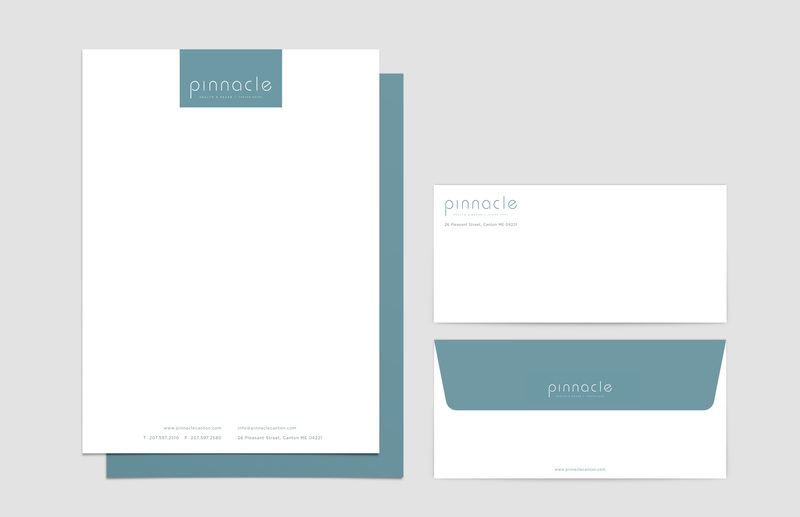 The smooth typeface used in the logo represents nature, and is suggestive of the beautiful rural and scenic getaway ambiance that residents love about Pinnacle. Likewise, the rounded letterforms imply healing and wholesomeness. The sea foam green color palette is fresh with hints of rejuvenation, the experience that residents can expect to enjoy at Pinnacle Health and Rehab. 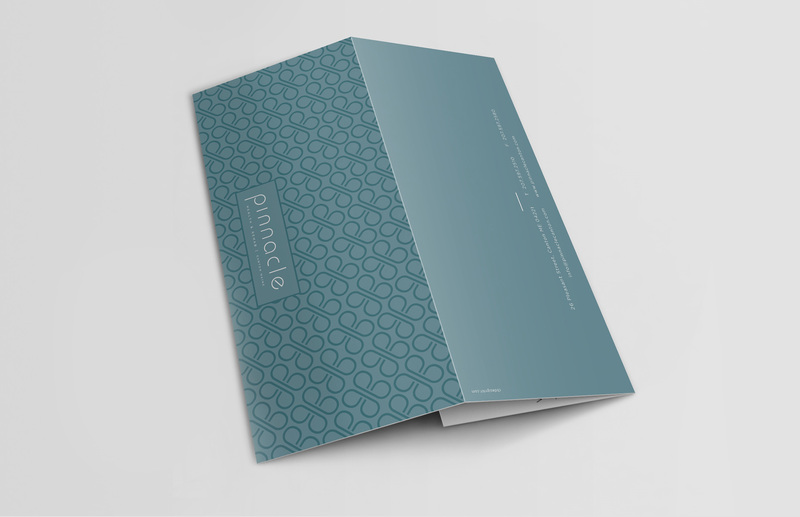 The sophisticated marketing collateral highlights the up and coming nature of Pinnacle Health & Rehab. The pattern used is a modern clover design, raised with a glossy UV coating. The trifold was crafted to open horizontally for an unexpected, striking look. Charna is a first class designer who provided exactly what we needed to elevate our brand to where it needed to be. 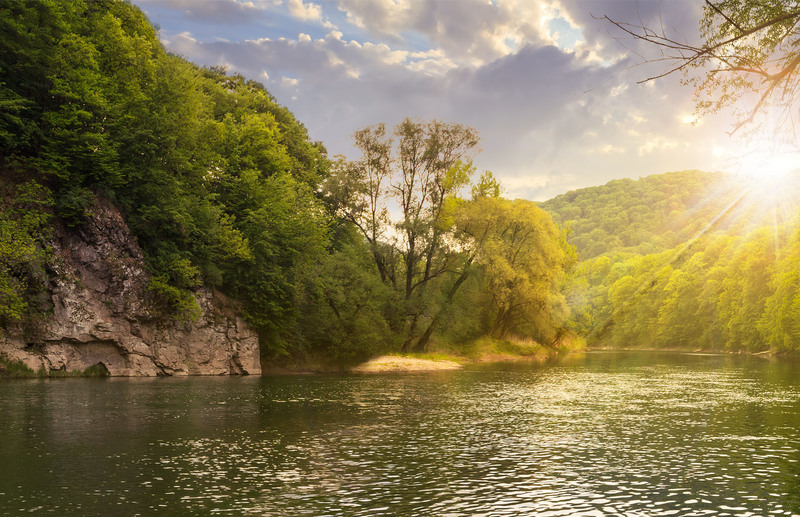 CEO at Pinnacle Group of Hudson Valley, Ltd.